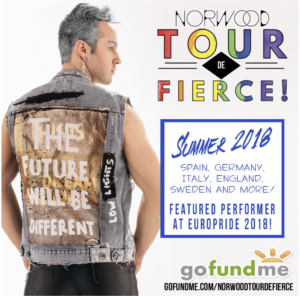 Openly gay pop-artist, Norwood is setting the world on fire on his Tour De Fierce tour this summer throughout Europe while spreading a message of equality. Norwood: I am from Atlanta. I was born in Gwinnett and lived all over the Atlanta Metro area my whole life. Born and raised Atlanta boy. You are passionately involved in working with LGBT youth. What was it like for you growing up as a child? Norwood: I wouldn’t say it was normal, but by all accounts, I had a good childhood. I had food on the table and my parents did the best they could. I will say though that I lived a very sheltered life. I was homeschooled from kindergarten all the way through high school. It was a very conservative Christian home that was definitely not open and accepting of LGBT people. So that created a lot of turmoil and inner conflict as I hit puberty and started to become attracted to people. I finally realized, “Oh wait a minute. I think I’m gay”. There was really no one I could talk to because everyone in our circle was of the same mind. Everyone that we interacted with was all from the same church and had the same beliefs. So when I got to my early teen years that did cause a lot of depression and it caused a lot of confusion. I never attempted suicide but I definitely had suicidal thoughts that came and went for a long time, for many years. I had no one to talk to about it. At one point I thought I was possessed by a demon, a gay demon. Or, God was testing me. I prayed to God to fix me. This probably started around 11 or 12, but I didn’t accept myself until I was about 15 or 16. When I was 16, I met some friends doing musical theatre. To my parents’ credit, even though they didn’t accept gay people, they saw no problem with me trying out for musical theatre. Through that, I made some friendships with more open-minded people, kids my age. Even after that, I didn’t come out to my family until I was 22. It wasn’t until I was basically no longer dependent on them for my safety and my survival that I felt like it was okay to come out. That’s why I do work now with LGBT youth in coordination with Lost and Found and other organizations we tell kids if you feel it’s safe to come out absolutely do it. If you feel like someone will disown you or try and send you to conversion therapy, wait. Do what you need to do to keep yourself sane, save your money, and find community. Did you totally ban church after coming out? What was your experience discovering SLCA? Norwood: I grew up going to church every Sunday and also the extracurricular activities. When I was 20 or 21 and after my parents moved across the country, I stopped. I did try yoga and started getting into meditation. 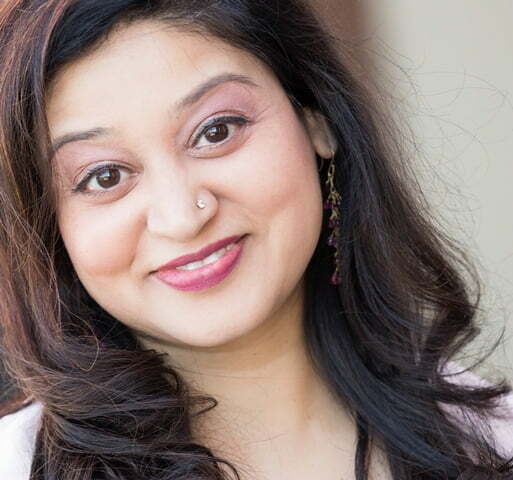 I took a vacation from organized religion as a whole for about five years. I started getting into other religious paths. My (manager/friend) Jayne and I went to a scripting class with Joyce Reynolds and that’s when I heard about Spiritual Living Center of Atlanta. It was so refreshing because the parts I liked about church growing up like the music and the community warm feeling of people singing together didn’t have all the judgment. It was a huge breath of fresh air and felt so welcoming. Did you have a desire to pursue music throughout your childhood challenges? Norwood: There has always been projects, shows and music videos for me to pursue. There was a period where my career slowed down when I needed to process the stuff with my parents. It took a backseat when I still felt depressed and withdrawn. What the scoop on the international tour? Norwood: I’m so excited. It’s the “Tour De Fierce”. We’re going to be in Europe for almost 4 months. We leave May 7 through August 20 and we’re hitting up 5 countries-UK, Spain, Italy, Germany, and Sweden. There could be a couple of other shows we’re adding that may not exclusively be pride. The most exciting one is the last one in Gothenburg, Sweden it’s the Euro Pride. This year Euro Pride is being hosted in two cities–Stockholm and Gothenburg on the west coast of Sweden for the second weekend. It’s actually the largest Pride festival in Europe. I’m very very excited about that one! We wanted the bulk of it to be a Pride tour primarily because of the message we are spreading about love, equality and the message it’s okay to be yourself. We’ve also partnered with the Trevor Project on this tour to give proceeds back to them to help raise awareness about the great crisis work they do with LGBT youth. We feel it meshes with the message of my music and basically the message we are trying to get out there. Is the Trevor Project a new initiative or have you always worked with them as such your work with Lost and Found? It is a new initiative. We also still work with Lost and Found. We wanted to also help people outside of Atlanta. Trevor Project is national and soon to be international. You’ve been pumping iron and really getting fit. Are you trying to get hot for Europe? Norwood: I mean…(chuckle) Right after I first visited SLCA I hadn’t been going to the gym. I was paying the $30 bucks and not going. I was vegetarian, but eating a bunch of dairy and cheese and everything else aside from my typical vegan diet. I listened to a podcast and the guest interviewed was host Bob Harper from Biggest Loser. I was starting to get puffy. I found a Groupon for a cross fit gym near me and made a deal with myself to go 3 days a week for the month and if I loved it, I’d keep doing it. If I hated it, I never had to do it again. I could definitely see results in my fitness and the things I could do. The mental results. Not being able to do something but helping my self-confidence. Even though it’s hard. You can do it. You’re going to live. Now I go 5-6 days a week. The fundamentals of cross fit are high-intensity movement and constantly varied. It burns more calories, builds your metabolism, boosts energy, etc. Doing it with other people is also a big deal for me. It’s healthy competition. You get encouragement and comradery. I hear you’re a foodie and love farm-to-table cuisine. What’s your favorite restaurant? Norwood: Now I try to eat relatively clean. I’m not paleo, but less processed, fewer carbs, stay away from too much sugar. I really love Metro Fresh, Zoe’s Kitchen, Bantam and Biddy and True Food Kitchen. I love Thai food and Mexican. My last meal on earth would probably be a Thai Spicy Basil noodle dish. Tell us about the CD promo connected to Tour De Fierce. Where can we get it? Norwood: We wanted to include other independent like-minded artists to get exposure and branch out. A “Tour De Fierce” compilation CD will be given out at Euro Pride. It’s about love, equality, and being fiercely yourself. We have national artists on the CD including the Weather Girls. For now, this will be for promotional use only. Fans can visit our GoFundMe link to support the project and 10% of the proceeds will go to The Trevor Project and raise awareness to help expand their reach and services internationally. They will also receive perks. Anyone that contributes $10 or more will get a special euro house remix of my song “Nightlife” with DJ Thiago Oliveira. Hard copies will be available as well supporting the Trevor Project. You have been compared to Justin Timberlake, David Bowie, and even Michael Jackson. How did you come up with your look? Do you have an alter ego? 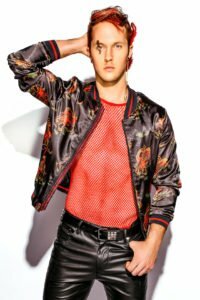 Norwood: I’ve always inspired the more theatrical artists like the David Bowie, the Madonnas, Prince–those that push the envelope visually and not just sonically. My roots in the theatre may have played into it during my teen years as well. I don’t have a segmented alter ego, but there are parts of my personality that are accentuated when I get my makeup on. I feel more bold and outgoing and fierce I guess. Day to day life I’m boring. Do you think there is hope for independent artists having a bigger voice? Norwood: With social media, anybody who wants to can make music. There is more fish in the sea, but you can have a real voice and real career without needing a label. What would you and/or your manager say to aspiring talent wanting to get into the music business as you have done? Norwood: People are getting more tools to run their careers. It’s the wave of the future. If you want label attention you have to stick with a brand, have a website, facebook page, etc. Go to workshops. You’re a business. If you don’t have the proper tools in place no one is going to trust you. They can learn about you and you can sell your merchandise. It’s all about the merchandise. Your marketing has to be consistent. I would say really work on your craft and to try to get as many different skills under your belt as you can. If you can be not just a vocalist but also an instrumentalist, or also writer or also a dancer…The more things you can do, the more opportunities you’re going get. I would also say stick with it. It gets really hard a lot of the times. There were times over the past decade when I thought, “Maybe I should quit” or “Maybe this isn’t for me” but I think the ones that eventually end up making it are the ones that stick in there long enough to see their work come to fruition. 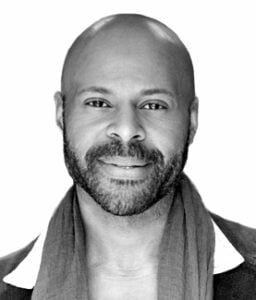 Ty Andrews is a multi-talented artist–singer/songwriter, designer, producer and content creator. 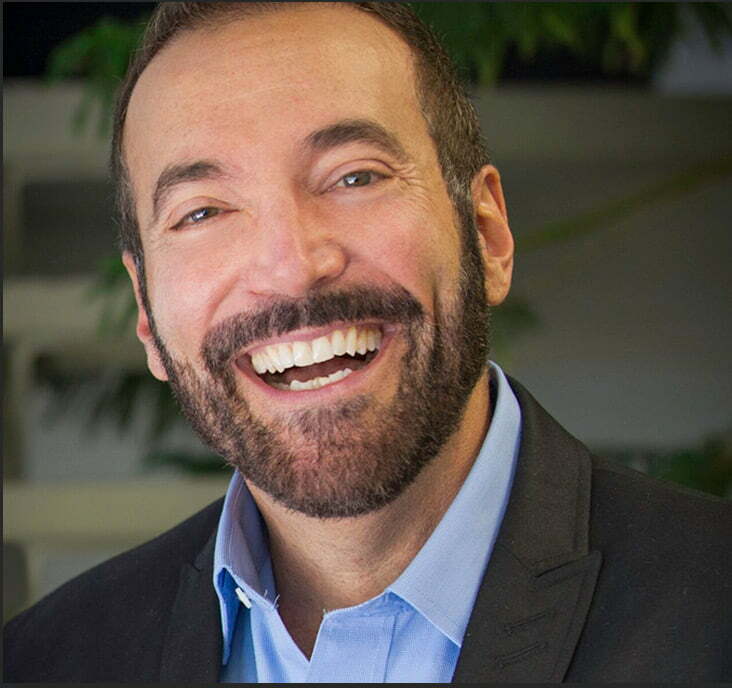 He has worked in providing creative branding solutions for businesses for over 20 years. Ty also has a bachelor’s degree in graphic design and a certification in recording arts technology.